Windows 8, new version of Microsoft Windows featuring new Metro-style interface that is designed for touchscreen, mouse, keyboard, and pen input. The ARM processor architecture is also added to the previously supported x86 microprocessors. 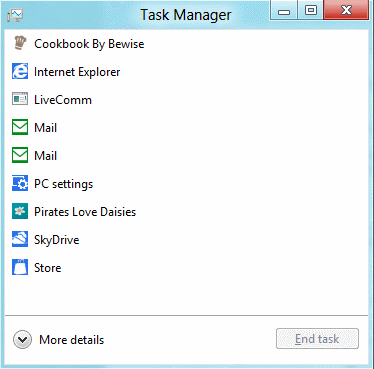 Windows 8 have two interfaces. 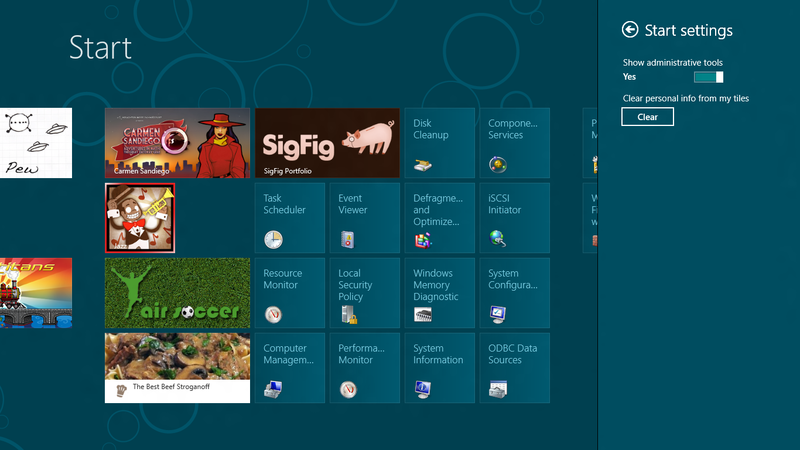 The start screen, known as Metro UI, which gets loaded when you log in, and the traditional desktop. If you’re looking for a guide for Microsoft’s new Windows 8 operating system, you may find this guide useful. 1. Switching between apps in Metro – Earlier, Metro apps and games start in fullscreen which cannot be close once they are started. There is no close button available, and the only way to get out of an app is to press the Windows key. But, now you can switch between open apps and windows with Alt-Tab. Windows 8′s Alt-Tab displays both desktop windows and Metro apps. 2. Closing Metro apps – Metro apps use little resources and basically put into sleep mode. The only option to close them is to use Ctrl-Shift-Esc to bring up Metro UI’s basic Task Manager to do that. You can click on More Details to display the full Task Manager instead. 3. Show administrative tools in Metro – By default Administrative tools are hidden. But still you can look them by following these steps. Open the Charms menu by hovering the mouse cursor over the lower right corner of the screen. Select Settings -> Settings again under Start at the top. Select Yes to enable Administrative Tools. You can view 18 core system tools like the Task Scheduler, Event Viewer or Computer Management to the Metro interface. 4. MSConfig without startup information – If you have been using the built-in tool MSConfig to manage the system’s startup programs, you’d be surprised to know that microsoft has moved the information from the system tool into the task manager. MSConfig still displays the list of services, boot information and links to tools though. 5. App History – Windows keeps track of a system’s metro application history. You can see apps names that have been used, their cpu time, bandwidth and other information. You can delete resource usage information by clicking on Delete Usage History button. 6. Synchronize settings – Windows 8 allows you to synchronize customized settings with the cloud. You can configure the feature for each PC individually in the Sync your settings menu in the Metro Control Panel. You can switch the synchronization feature off for the PC, or customize which information you want synchronized. 7. Just Type – The type, search and run feature only works on the Metro start page. It won’t work if you have a Metro app open, and it won’t work on the desktop as well. 8. Drag and Drop – You can drag and drop Metro apps around to sort them the way you want them to be in. 9. Uninstalling Apps – You can easily uninstall unneeded apps. Right-click the app that you want to uninstall, and select the Uninstall option from the footer menu afterwards. You can alternatively unpin the app from the start screen, which would keep it on the system, accessible through search for instance, but not on the Metro UI start screen. 10. Making apps larger or smaller – You may notice that some apps take up more space on the start screen than others. Some apps are displayed with twice the size of others. A right-click and the selection of smaller or larger decreases or increases the size of the app on the screen.